If the program works as planned, listing, selling and closing will get streamlined and documents will get streamlined for all parties, making short sales less excruciating than they are now for all parties. This new program runs until 12/31/2012. The unpaid principal balance is no more thatn $729,750 for single family residences. Higher limits for duplexes or multi family properties. After notification of potential HAFA eligibility, borrower have 14 days to request HAFA consideration. Most people think Realtors don’t do too much for their money and just put a sign in their yard or fill out some paperwork and get paid thousands of dollars. So, I wanted to start an article entitled “Adventures of a Real Estate Agent” I will have some funny and some not so funny stories of the real life things that have happened over the years. I hope you enjoy them. Well, here we go. Last week I received a phone call from the buyer’s agent on a rural property that we have listed way out in the country in Sutter County. The buyer’s agent told me that his buyer had called him and told him that there was someone with a truck at my listing “just cleaning out the place” His buyer was very concerned that by the time escrow closed in two weeks all they would be buying would be the shell of a home, with no appliances or anything else. Well, of course my husband Steve was playing golf all day, and just walked in the door as I am getting off the phone with this agent. I tell my husand all about it and tell him to drive out there and check it out! Now, my studly husband is 66 years old and weighs about 150 lbs. Don’t get me wrong he is my hero, but if he were to come up to a group of young muscular guys I don’t think he would be able to do much physically. So, off he goes as fast as he can to our rural listing. His parting words were “Call the police” . So, I call the 411 to get the phone number for the Sutter County Sherriffs. I call the number and it rings and rings. Must be the main office number. So, I call 411 back and tell them I need a different number. They give me that number and I call and the same thing. Ok, now what? I call 911. She says “What’s your emergency” and I give her the 3 second story and tell her I need the number to the Sutter County Sherrif Department. She gives me the number. I call and get someone right away. I tell the lady all about it and tell her my 66 year old husband is on his way out there and she wants to know what kind of car he drives. So I give her all the information. She says she will send someone out there as soon as she can. No guarantee when. Ok, I say and hang up. In the meantime I call my husband and tell him the sherriffs are going to check it out and to be careful. My parting words, “I Love you honey, be careful. Call me when you get there” I guess I figure if he is on the phone with me and he walks into a bad situation he will be safer. Well, he calls me when he pulls into the mile long driveway out in the middle of nowhere of our listing and almost immediately behind him are 3 count em 3 Sutter County Sherrif cars! The Sherrifs went into the properties first and checked them out. No one was there at the moment but they had been there. The property was still in good shape, they hadn’t destroyed anything or removed anything, just made themselves some lunch and used the bathroom facilities. If you an believe that. So, thanks to the Sutter County Sheriffs, my studly husband saves the day once again. Gotta love that man! RISMEDIA, July 12, 2010–(MCT)–The explosion of remodeling shows on TV and makeover spreads in magazines has whetted America’s appetite for glamorous rooms brimming with the latest furnishings, appliances and color schemes. Kitchen remodels are among the most popular, according to a report in the just-published August issue of Consumer Reports and online at consumerreports.org. And the economic slowdown means there are outstanding deals on everything from cooktops to countertops. It also means kitchen designers and building contractors are eager for work and willing to negotiate. But bargain prices and good looks aren’t everything, said Celia Kupersmzid Lehrman, Consumer Reports’ deputy home editor. “When remodeling a kitchen, functionality is every bit as important as style. Fortunately there are many products that look good and work well,” she said. The design of your kitchen is every bit as important as what goes into it, said Jim Spence of Spence & Vaughn Fine Kitchen and Bath in Maitland, Fla. The most functional design is based on the “work triangle” — the relationship between the prep area, the cooking area and the sink, he said. Ideally, the distance between them should never be less than four feet or more than nine feet. Of the three areas, the most-used is the sink. When planning a remodel, determining your budget is one of the first steps. The National Kitchen & Bath Association calculates the average kitchen remodel costs between 10 percent and 20 percent of the home’s value. But obviously, the extent of the makeover determines its cost. In its latest issue, Consumer Reports takes top-performing products and creates three design schemes: a do-it-yourself makeover for $5,000; a plan that costs $15,000 (the average spent on a kitchen remodel); and a full-scale renovation for $50,000. Determining your priorities is another key step, said Phil Johnson, a partner at Spence & Vaughn and a certified kitchen designer. —Do your homework. Watch TV remodeling programs, clip appealing pictures and articles from magazines, attend remodeling seminars, visit home shows and parades of homes. Consult with a kitchen designer who is a member of the NKBA, who has the training and experience to avoid many of the things that can go wrong with a remodeling project. —Visit a showroom. Examine the options in cabinets, countertops, appliances, flooring, plumbing and lighting. Decide what you want — and can afford. —Schedule a home visit. The designer/installer need to measure the kitchen and adjacent rooms, and make a note of existing walls, doors and windows, electrical supplies, ceiling height, attic access, type of wall construction, plumbing details, etc. —Finalize the project. The design is refined, construction plans are completed, appliances and supplies are ordered — and the initial deposit is paid. —Survive the dust, noise and workers. With proper supervision, the disruption can be kept to a minimum. Make sure materials are ordered and on the way before beginning the tear-out. Clear a space in the garage for workers’ tools and supplies and items removed from the old kitchen. And communicate regularly with the designer/installer. Don’t rush. There are many kitchen products that combine value, performance and good looks. Take time to meet with professionals, browse the Internet and visit showrooms and home centers. Haste can be costly. Changing your mind after the project is started typically adds about $1,500 to the cost of a kitchen project. Size matters. In addition to being expensive, oversized kitchens can be exhausting to work in and keep tidy. A more compact kitchen often functions better. The National Kitchen & Bath Association website, nkba.org, provides guidelines for optimal space between appliances, cabinets and islands. Beware of budget busters. Leave a 10 percent to 15 percent cushion for surprises, such as unexpected structural repairs. Avoid settling for a cheap option, thinking someday you will replace it with something you really want. Chances are that will never happen. Get it in writing. When using a professional for a remodel, the written contract should list each phase of the project; every product, including the model number; and copies of each contractor’s license, and workers compensation and liability insurance to confirm they are current. Call references and, if possible, visit them. reprinted with permission (c) 2010, The Orlando Sentinel (Fla.). Individual buyers or sellers can initiate the approval process or current owners can encourage their HOA to apply. More information about the FHA- approval process is available at www.getfhaapproval.com. When considering adding value to a home, you consistently hear from the real estate industry that updated bathrooms and quality kitchens stand out in a home sale. Those are proven sale closers. There are certain other improvements you can make to your home that will beautify it or create convenience for your family. When it comes time to selling, however, those improvements may do nothing to increase the value of the property and may even turn off potential homebuyers. Au contraire mon frère, not all renovations will raise the value of your home. Just `cause it’s bigger doesn’t mean it will be perceived as better by future homebuyers. Unless your home is located in Beverly Hills or some other very posh neighborhood, don’t install the bathroom with the supersized steam shower, imported Italian marble and several different spray heads … unless you have the money to do it for your own pleasure and enjoyment only. That kind of improvement doesn’t typically do anything to increase the value of the average home. On the other hand, if you updated an old bathroom, you could see an increase of several thousand dollars to your home’s bottom line. Real estate professionals suggest that homeowners pour over local home listings to see what amenities are the standard in your area, then upgrade your home to meet it. If you overdo it, however, you may not recoup your investment. If you think installing a swimming pool in the back side of your home will draw hoards of homebuyers clamoring to make offers on your home at sale time, you’d be wrong. Some may consider it a perk, but others may perceive it as a pain with all the maintenance it will require. Homeowners have even paid to have their swimming pools buried to create more yard space. If you shell out the expense to build one, don’t expect your home’s value to budge. The only exception to building a swimming pool is if you live in states where they are considered the norm. Although, a home office is often an amenity appreciated by those shopping for a home, it should be built with frugality in mind. Overhauling an office doesn’t pay off when it’s time to sell your home. Don’t steal usable space from another living area to create a home office. Instead, make sure the space can easily be converted back into a bedroom or other living space if needed. If you decide you just have to have the built-in Curly Maple wood shelves, know that you will only recoup around 50 percent of your cost at sale time. Home magazines are always coming up with clever and creative ways to change the look of your living space. Some are exotic and outlandish, but they can pique your interest. Tempted to put a classic disco ball with lights in your bedroom, a constellation ceiling in your family room or a peaceful Koi pond in your back yard? Avoid making outlandish changes to your home or changes that will be perceived as adding work for a future homeowner. Don’t be tempted to incorporate these ideas into your own home, unless you don’t plan on selling anytime soon. Homebuyers may not share your enthusiasm. If your roof needs repair, don’t hesitate to have the work done. It will be one less issue you’ll have to deal with when listing your home. If in your pursuit to list your home you think replacing your roof with cedar shakes or clay tiles will increase the value, think again. Although they have the ability to make your home stand out, they probably won’t inspire homebuyers to pay more for them. 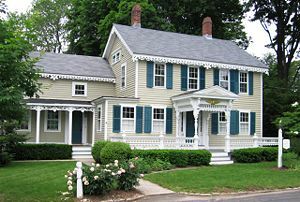 So, unless you have the money to burn, keep it simple when preparing your home to be listed on the real estate market. Ki has been an investor in the Austin real estate market for several years. The website has an Austin home search for listings in Austin, Texas. It also has general statistics covering Austin real estate along with several neighborhoods in Barton Creek.